to define its powers and to provide for the election of officers. and change it at pleasure. voters of said corporation of Dandridge to four (4) year staggered terms of office. oath of office shall be administered on the first Monday of December at 6:00 p.m.
disposition, which will be based upon the Town Recorder’s voting register. payment of all money coming into his hands. of three (3) or more Aldermen. of Mayor, until the next regular municipal election. Administrator shall be fixed by the Board. be required by the Board of Mayor and Aldermen. pertaining to appointment and removal of such officers and employees. and shall receive a salary fixed by the Board of Mayor and Aldermen. by and shall receive a salary fixed by the Board of Mayor and Aldermen. The Town Judge shall be a licensed attorney in the State of Tennessee. appealing shall give bond and security for the payment of said fine and costs. individuals who violate the Town’s ordinances. shall be appointed by the Board of Mayor and Aldermen. as fixed by the Board and he shall serve at the will of the Board. taxes as are provided by the State laws for the collection of taxes. exclusive not only as against any other person, firm, association, or corporation. the grantee of the franchise in accordance with state and federal law. furnished both inside and outside the municipality and inhabitants therein. The power to make contracts embraces the power to make exclusive contracts. services, and assess fees for the use of, or impact upon these services. though these powers were specifically enumerated. the Board may be abolished or combined by the Board. next election of the Town after the final reading and passage of said ordinance. 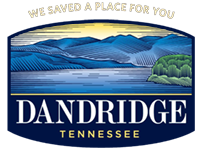 Town of Dandridge and certified to the Secretary of State. it. For all other purposes it shall become effective as provided in Section 15. 1998 137 Basic charter act (replaced Priv. Acts 1995, ch. 23).